Home > Featured > The Juan For Fun 2015 Teams & Adventure Coaches! The ultimate backpacking adventure, Cebu Pacific‘s Juan for Fun Backpacker Challenge is back on its fourth year, promising even more surprises and thrilling challenges. From June 23 to July 1, 2015, five teams at fun-loving students will explore several destinations in the Cebu Pacific network, for eight straight days—all for free. The teams begin their exciting escapade last night as they left for Bangkok, Thailand, after it was revealed in a press conference with the media at Sofitel Hotel, yesterday. After taking on the vibrant Thai capital, they are free to conquer any Philippine destination of their choice! 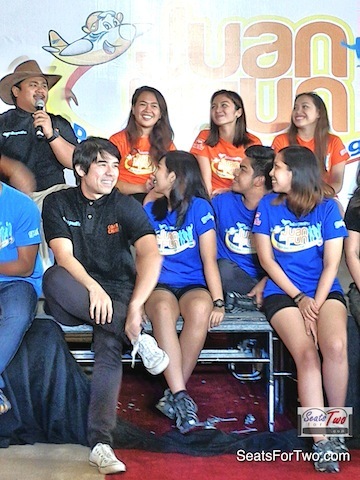 This is the first time the Juan for Fun 2015 teams have the freedom to explore any destination in the Philippines. They should then make their way to the Juan for Fun 2015’s final destination, Davao on July 1, for the challenge’s culmination. Now, let’s take a closer look at the Adventure Coaches and the teams! To mentor the teams as they go on an exciting quest for adventure are this year’s Adventure Coaches. Throughout the duration of the challenge, TV host and actress lya Villania, musician Champ Lui Pio, YouTube star Bogart the Explorer, host and DJ Joyce Pring, and travel writer Jude Bacalso will stay in touch and cheer for their respective teams through social media. My husband Jonel first met most of them in their recent media trip to Siquijor. Know more about them in the link. The Cebu Pacific Juan for Fun Backpacker Challenge 2015 is co-presented by GetGo, Cebu Paciﬁc’s lifestyle rewards program, and Nissin Vakisoba. The challenge’s major sponsors are Smart Bro, Boreas and Canon. It is also supported by the Philippine Department of Tourism, Tourism Authority of Thailand, and endorsed by the Commission on Higher Education. Best friends ready to take on their next adventure, Duel Lozano (21, Notre Dame Dadiangas University), Marielle Padilla (21, ACA SarGen Foundation College, and Rogen Sagarino (20, Mindanao State University — General Santos) make up Team DoMaRo. This determined trio will be paired offwith Coach Jude Bacalso. Team Extreme is made up of Gio Tiongson [22) of Ateneo de Manila University, and twins Miguel Manalang (22) and Luigi Manalang (22) of De La Salle University Coach Joyce Pring will mentor this athletic trio. Jassy Tomol (19), Joyce Gonzalez (20), and Kat Locsin (20) of University of the Philippines – Cebu form Team lskapade, Stay tuned to these adventure—seekers as they discover new destinations and overcome challenges with the expert guidance of Coach Bogart the Explorer. Team Juan Big Fight is composed of 20-yr old Ateneo de Manila University students Aaron Crisostomo, Asia Wy, and Kyle Favis. 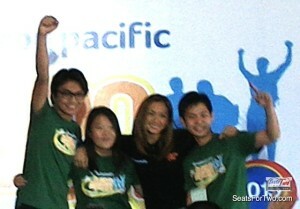 They are ready to have great fun and reap big wins with Coach Iva Villania. The youngest team this year, Cheloi Marasigan (19), Mischa de Guzman (19), and Rae Argallon (19) of University of Sto. Tomas represent Team Square. 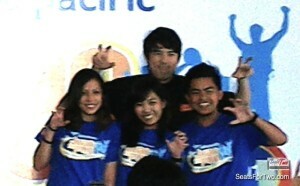 These architecture students are raring to conquer this adventure with Coach Champ Lui Pio. Read ore about Juan For Fun 2015 here. 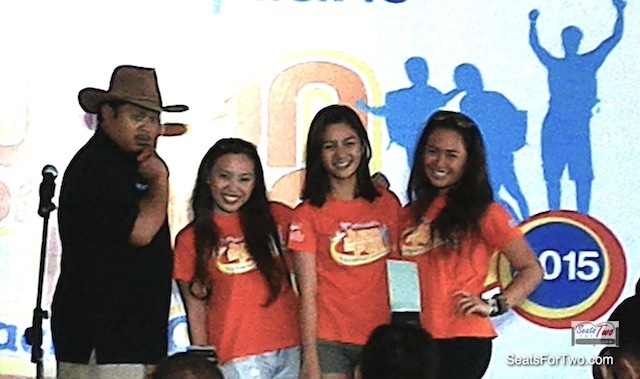 Which Juan For Fun 2015 team is your bet in this year’s Cebu Pacific Juan for Fun Backpacker Challenge 2015?